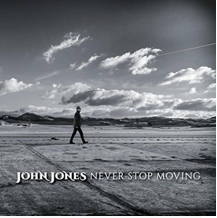 John Jones’ second solo album was released on 4th September 2015 and is available for sale online via Oysterband’s shop. John says: “This is the album I have been making (alongside “Diamonds on the Water”) for the past three years, with many of the songs honed and fully realised on our walking tours the length and breadth of this beautiful, curious and contradictory country in search of the haunting stories that hide beneath the surface. The album features the Reluctant Ramblers: Rowan Godel, Tim Cotterell, Lindsey Oliver, Dil Davies, Benji Kirkpatrick, Boff Whalley and Al Scott (who also produced the album). There are also contributions from guest musicians including Oysterband’s Alan Prosser and Adrian Oxaal. Hi John, I love the new album, and one track has a particular meaning for me that I wanted to share with you. the song is She Wrote Her Name. I work for Oxfam, mostly here in the UK but I travel to Senegal regulalrly now and spent some time in Sierra Leone a few years ago. Sierra leoone is one of the very poorest countries in the world. And one of the most unequal places for women. 74% of women are illiterate. Traditionally families do not see the value in educating girls. Oxfam had been working with women who wanted to get more involved in decision making and politics. The project was called Raise Her Voice, and we had helped several women gain positions on local councils for example. I met one woman who had been elected to her local council, with support from Oxfam. She turned up every week to council meetings and when she had to sign for her expenses, being unable to write, she had to mark an X. She was mocked by male councillors every week for two years. Then one day, having taken secret literacy lessons, she turned up and signed her name. In those two years she was instrumental in the reopening of a local primary shcool and the opening of two health clinics. I have never met a braver person. She wrote her name!